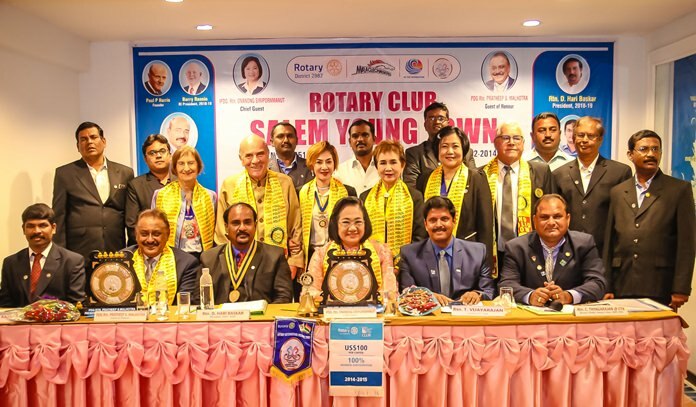 A group of Rotarians from the Rotary Club of Salem Young Town in Rotary International District 2982, India, led by Charter President C. Thyagarajan (seated right), held ceremonies at the Beverly Plaza Hotel recently to install D. Hari Baskar (seated 3rd left) as the new president for 2018-19 of their club. Chief Guest for the occasion was Immediate Past District Governor Onanong Siripornmanut (3rd right) and Guest of Honour was PDG Pratheep S. Malhotra (seated 2nd left) both of R.I. District 3340, Thailand. 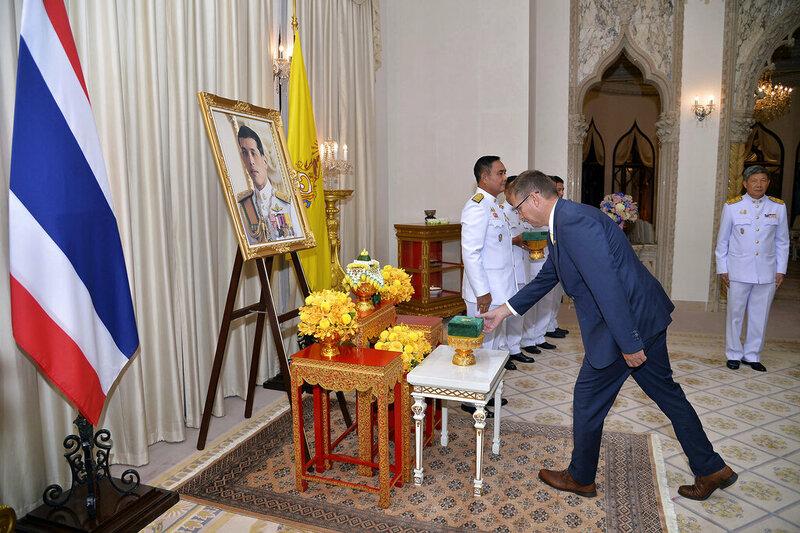 Rotarians from many clubs in Pattaya joined in the celebrations.